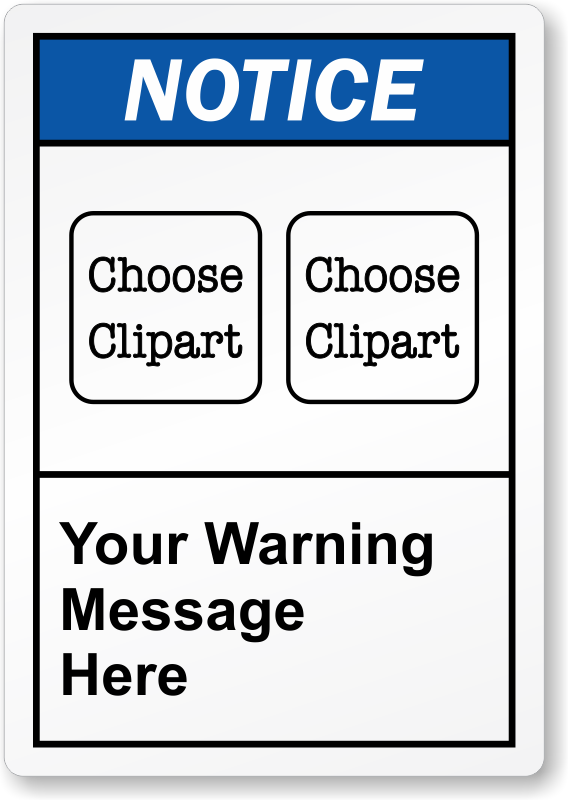 Our Custom Notice Labels let you display important information. Custom ANSI Notice Label with two pictograms is hard to miss! Labels are durable and lasts for years even outdoors.